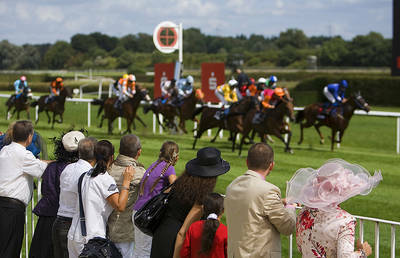 That’s what awaits you the next time you visit the international racecourse in Iffezheim. Each year, you have three chances to join other race-goers in experiencing the heart beating thrill of international horse racing. 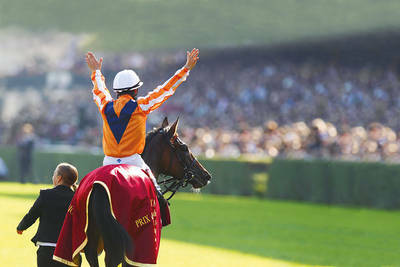 Three times a year, all eyes in the horse racing world are focused on Baden-Baden. The racing calendar starts with the Spring Meeting (May), followed by the Grand Festival Week (end of August/start of September) and rounded off by the Sales & Racing Festival (October). Why don’t you also enjoy an unforgettable day at the races? 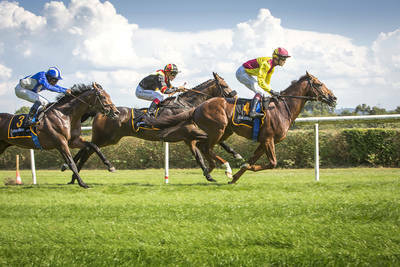 – Top class cuisine, the unique buzz of the betting ring and racing that will bring everyone to their feet. Whether you join the crowds in the course enclosure, or attend a champagne party in a grandstand box, soak up the atmosphere and let the Baden-Baden race fever infect you! Take a tip from us. Set your alarm clock a few hours earlier and savor the racecourse at the break of dawn, by attending the racecourse breakfast. Sitting on the club terrace, you will be able to watch the horses take their early morning exercise, while you can feast until your heart’s content. What a way to start the day!